If you closed your eyes and thought about in-store services, nine times out of ten, you’d think of customer service, and you’d be right, but there’s more to services than a friendly shop assistant. It also depends on what shop you’re thinking of. Stores have become destinations for shoppers and it’s not uncommon for someone to visit a shop without needing to purchase anything. This isn’t new, it’s just that we’re more sensitised to it these days. Think back to when you needed a battery for a watch, ring resizing, or new pedals for a mountain bike, chances are you would contact the jeweller or cycle shop you bought them from and ask if they could help. Without realising it, workshops are a fundamental cog that keeps many retailers ticking and encourages footfall to store without hesitation. For those of us who can remember that amazing smell of the cobblers (yes, I like the smell of petrol too, but let’s not go there…) workshops have been a constant on the high street, and although most local cobblers are a rarity, people still have the need to have their shoes mended. This is something that Timpson have really capitalised on, they know that people still need to have shoes repaired, and they continue to diversify with what the modern consumer needs, from cutting keys, watch repairs and phone repairs, as well as opening concessions and smaller stores in supermarkets, as well as the high street. 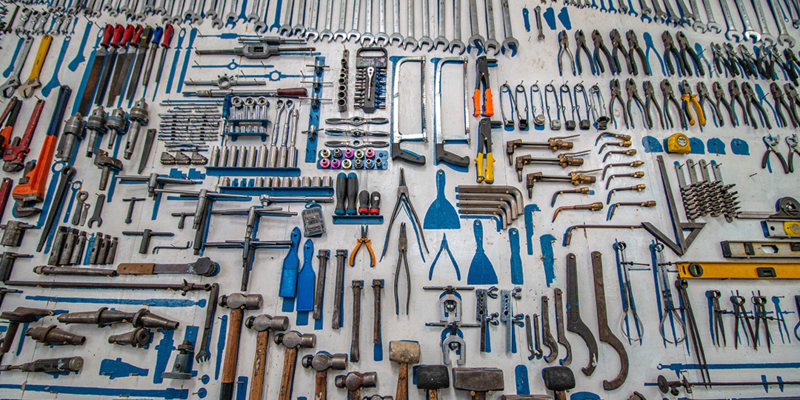 For retailers that have a workshop operation, you’d be amazed at how much integrating this into your retail management system can benefit your business and vastly improve customer service. It means that all your customer information, job status, notes and photos are co-ordinated in one place, and instantly available from any device that has a web browser, so if you’re in-store, in the workshop, or working away, you can access all the information you need. Let customers book in workshop jobs, in-store at the point of sale. By providing this service in all stores, it makes the process easy for customers, drives footfall to store, and gives them confidence when making a purchase from your shop. It makes managing, scheduling and job tracking easy by giving you access to full customer histories. If a customer is asking in-store about the status of a job, or calls up the store, any one of your staff can help track the status and give an estimated completion time, keeping you on top of scheduled work and keeping your customer satisfied that you know exactly where their item is. If you have a workshop or bespoke ordering service that has specialists or technicians for certain jobs, then staff can allocate jobs within the retail management system. Perfect for saving admin time and diary management in the workshop. Save all your job estimates within the integrated CRM for customers purchasing on collection, or if the job requires, you can take deposits and part payments. This is a great way for you to offer flexible payments to customers when needed and ensuring that all customer details are housed on the one system, so you don’t charge them twice, or not at all! Keep a record of labour, parts used and costs all in the one place, while allocating parts needed for the job from stock items or direct from the supplier. With a real-time view of all stages of the job, you can eliminate over ordering from suppliers or emptying your stock out without realising. It also provides you with a true estimate of time needed to complete a job, letting you give customers an accurate completion timescale. Ensure you have your damage protection covered and take photographs along each step of the job. Saving photos directly to the CRM from the office or the till lets you track quality control and avoids complications that may arise if an item is damaged after a job is complete. By providing your store and workshop staff with full visibility of jobs, projects, parts, payments and more, you are inspiring them to ensure that the whole service runs smoothly and giving them the tools to keep customers happy and loyal to your business. Find out how you can integrate in-store services into your EPoS, download the RetailStore platform brochure.